Explore the available powerful trim highlights here. Then, when you’ve decided which one is the right for your North Pole adventure, stop by Chevrolet Buick GMC of Fairbanks. A 4.3L EcoTec3 V6 engine delivers 285 hp and 305 lb-ft of torque This trim gets 24 mpg/highway, ideal for your Alaska Route 2 road trip. The LS includes chrome exterior touches, power windows, remote entry, OnStar Guidance, power heated outside mirrors, and deep tinted glass. The LT Z71 provides access to Hill Descent Control and an automatic locking rear differential, as well as trailering and Z71 off-road packages. Drivers get a 355-hp 5.3L EcoTec3 V8 engine, heated leather-appointed seats, Bose premium sound system, remote start, and more. Silverado 1500 LT: The LT is an upgrade from the LS trim and adds access to 17-inch bright machined aluminum wheels, EZ-Lift and lower tailgate, Chevrolet MyLink audio system with 8-inch diagonal interface, and tilt and telescoping steering wheel. Silverado 1500 Custom: The Custom offers a locking tailgate, rear folding bench seat, a rubberized vinyl floor covering. You also get access to the Custom Value Package that includes the Custom Convenience and Trailering Packages, as well as an auto-locking differential. Silverado 1500 LT Z: The LTZ trim provides drivers with access to an available 6.2L EcoTec3 V8 motor that generates 420 hp and 460 lb-ft of torque. It also has a standard automatic locking rear differential and an external transmission oil cooler. 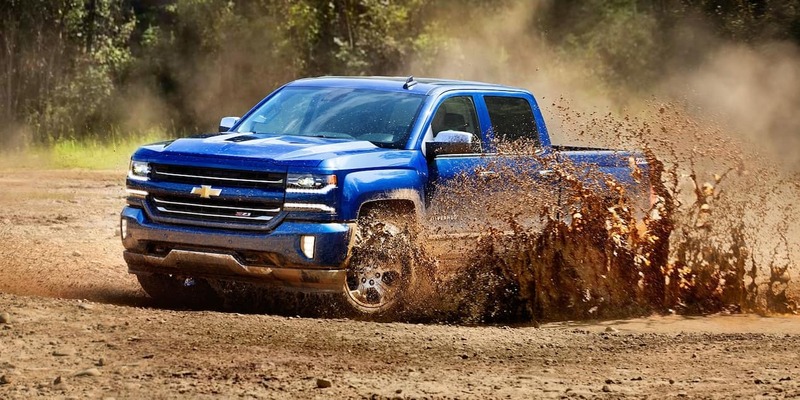 To experience the powerful Chevrolet Silverado 1500 trim levels against the Silverado lineup, or how the Silverado fares against the Ram 1500, the Toyota Tundra, or the Ford F-150, feel free to contact Chevrolet Buick GMC of Fairbanks today and set up a test drive today. We’ve got plenty of new Chevrolet trucks on the lot.